Soaking up the Miami Sun, you’re playtime on the beach is almost at it’s end. You glide up to the pool deck, and take a refreshing dip. Feel the tropical breeze from the Atlantic as you step out and order a Mojito while you lounge poolside. The day may be ending, but the festivities sure aren’t. You can feel the excitement surround you – the buzz of South Beach, but the atmosphere is still calm. Palm trees gently sway above you, and you recollect all the joy you experienced today. As you return to your room and step out onto your balcony overlooking the ocean, a feeling of serenity envelopes you. 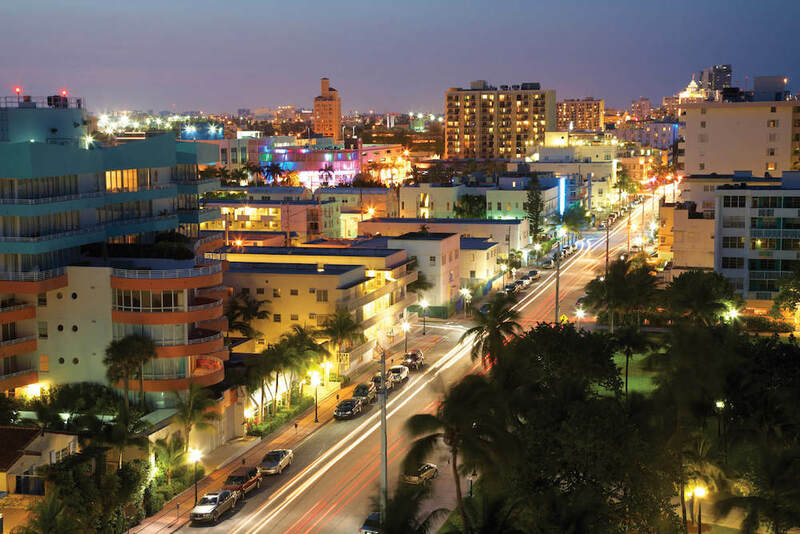 At the same time you can feel the sights, sounds, and flavors of South Beach – a calming yet exciting atmosphere all wrapped up for you to discover – Welcome to the Stanton South Beach. 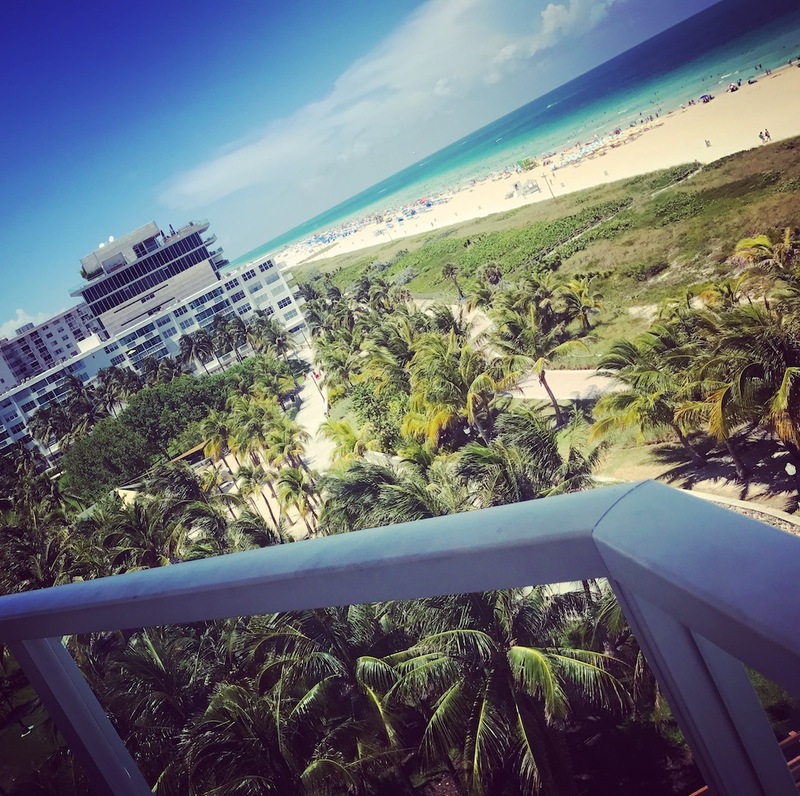 Invite yourself to enjoy South Beach at it’s finest by staying at the Stanton. 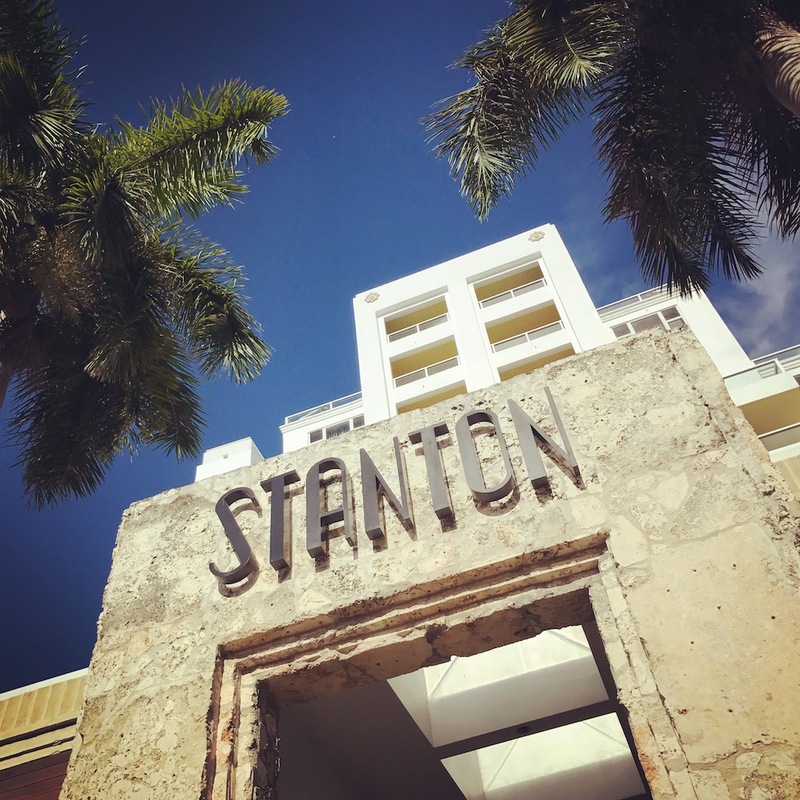 Cruise down Ocean Drive and pull up to the Stanton, where you can truly relish in everything that South Beach has to offer. 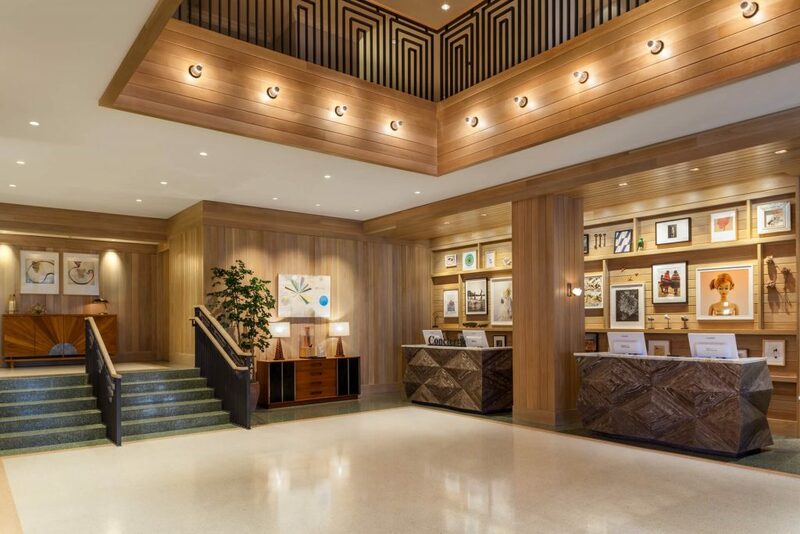 Rather than staying near SoBe, at the Stanton, you’re in the midst of it. 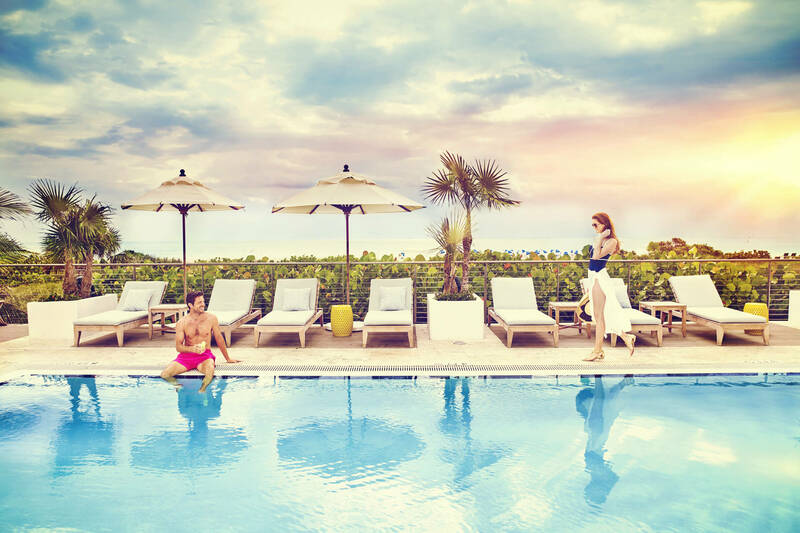 The Stanton South Beach invites those who appreciate everything that SoBe has to offer – beach life, pool life, nightlife, shopping, Ocean Drive, and killer cuisine – combined with Art Deco design that is a synonymous with SoBe. Rooms at the Stanton afford beach or city skyline views. Our King Ocean View room possessed sublime views of the Atlantic Ocean. Looking out from your Ocean View balcony, the turquoise waters, sandy beach, and bright umbrellas beckon. Meanwhile the pool deck gives that ultimate SoBe glamour sure shot, with hip but chill music, and majestic palms surrounding two pools and a hot tub. The city skyline view is ideal for those who enjoy the beautiful and unique architecture that Miami has to offer. Our room permeated with a modernity that invoked a fresh and vibrant feeling. The reading lamps are tastefully and subtlety blended into the head board. 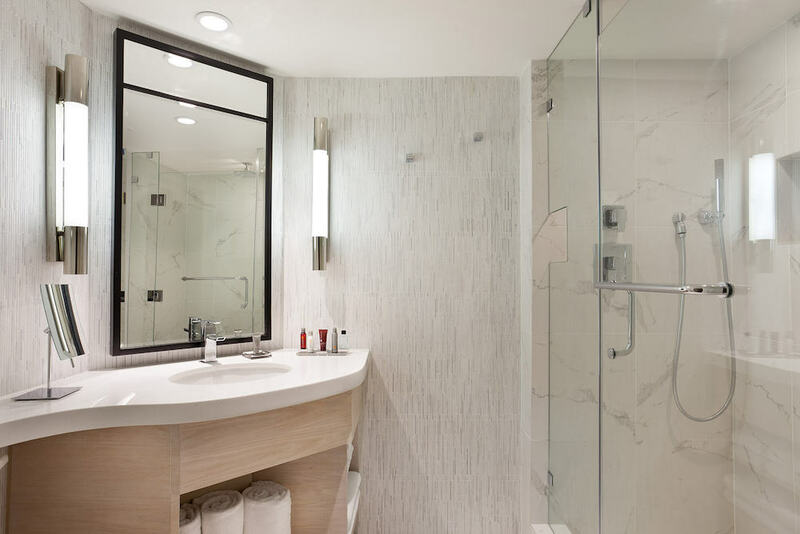 The marble shower’s sleek design allows you to adjust the settings without actually getting into the shower. Pure ingenuity – it is all about the little things. The ideal mirror sits in the bathroom – providing perfect angles for getting ready for any evening or daytime activities. 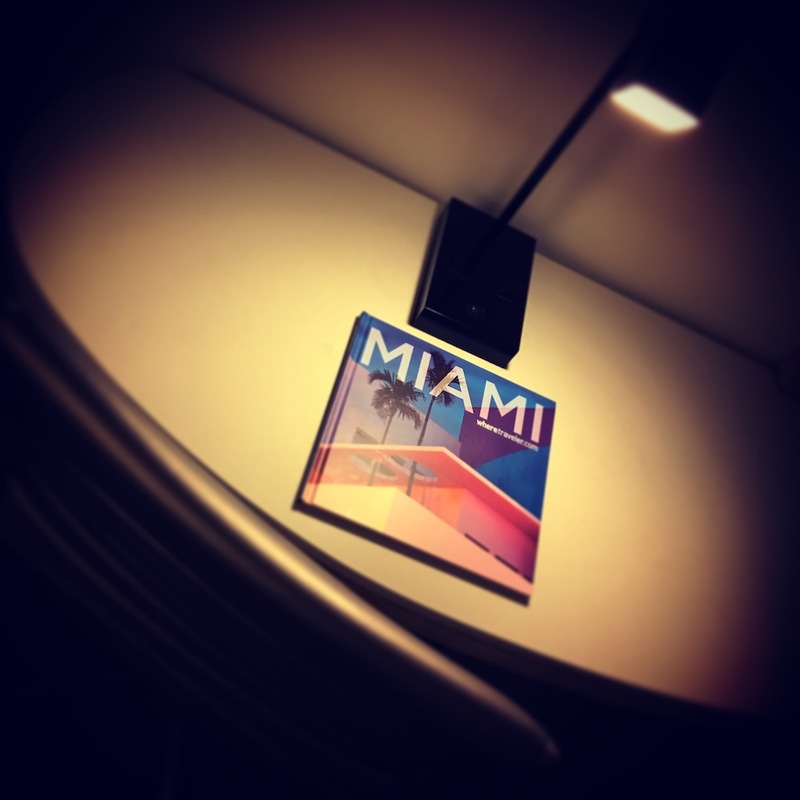 You could spend a lot of time relaxing in your room, if you feel like a break from exciting Miami. The furniture is both comfortable, logical, and stylish; like the soothing crisp white desk lining the room, and the cozy purple crushed velvet chair with foot stool. The ambiance of relaxed glamour effortlessly imbues every ounce of this hotel, and that includes your room. You’re sure to get that beauty sleep you need in these rooms. 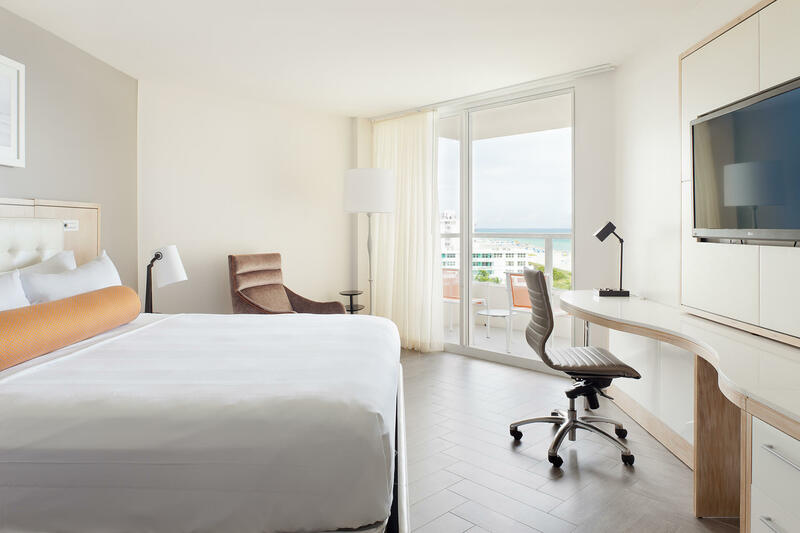 Our King Ocean View Room boasted a stellar view of the SoBe – with its turquoise waters and atmospheric beach. 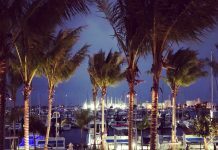 This is the quintessential SoBe experience you’ve been looking for, and at the Stanton – they’ve covered all the different ways to enhance your stay. 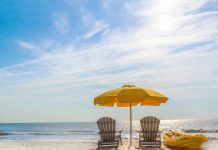 There’s even amenities such as bike rentals, beach resort toys, and more, to further enjoy your time on South Beach. For those who are looking for a little pampering there’s a spa opening this Fall, and a fitness center for those fitness lovers out there. Perhaps you’ve dreamt of capturing the essence of this area by having your wedding here. Weddings at Stanton are a beautiful way to start a new life together. 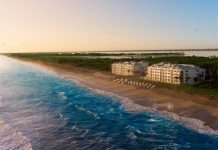 The Stanton’s 5,000 square foot Parkview Terrace is perfect for beachfront weddings. On the other hand, the Stanton provides a wonderful way to create better business relationships. Consider hosting your next business meeting or event with over 2,500 square feet of meeting room space; ranging from the South Pointe Ballroom to the Ocean Boardroom. 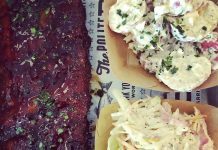 Besides incredible views, the Stanton boasts a remarkable restaurant – Lolo’s Surf Cantina. 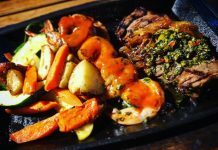 Lolo’s hits the mark for dynamite Mexican cuisine amidst the thriving foodie scene of Miami Beach. 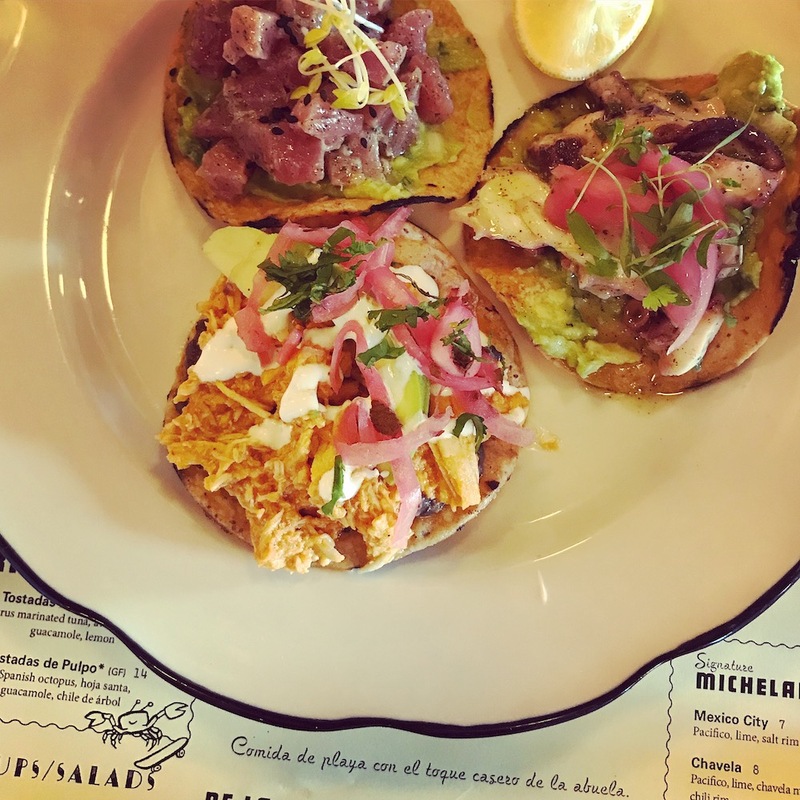 The décor is darling, and the food will enrapture you. 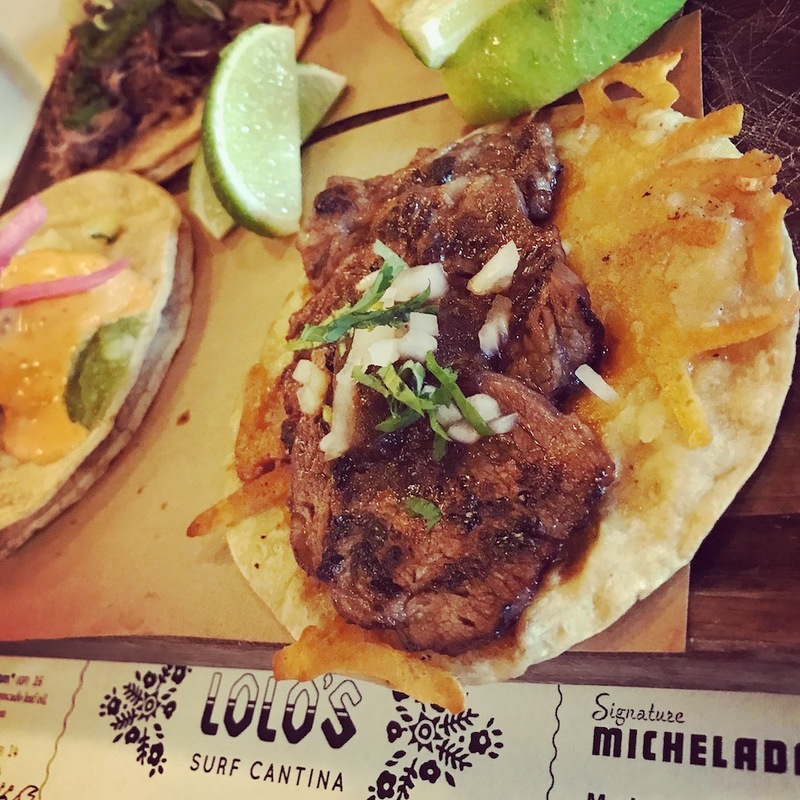 Some of the highlights we recommend include Lolo’s Guacamole (Chef Richard’s Grandmother’s recipe), any and all of the Tacos (voted best in Miami), the Corn Cake Crème Fraiche Ice Cream (the perfect combination of soft, creamy, and salty), and the Hibiscus Sangria. Don’t miss out on this gem! 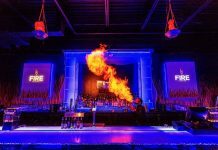 As you pull up to the Stanton and revel in the much celebrated Art Deco architecture – get ready to experience South Beach like never before. Thank you for hosting us. 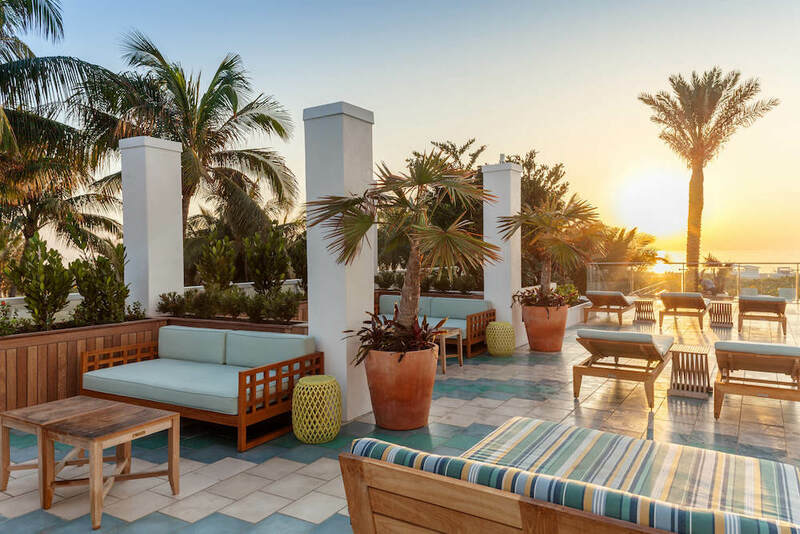 This oceanfront hotel provides the ultimate SoBe experience. The Stanton invites you to relax in glamour and style.